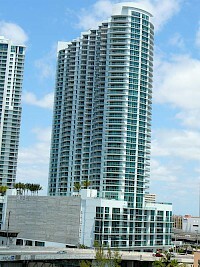 The Pointe at Brickell Village is a high-rise building planned for construction in the downtown region of Miami, Florida. It has been approved by the City of Miami, and is scheduled to begin construction in late 2007. 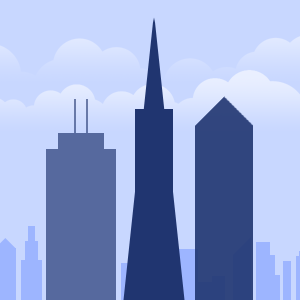 If completed, the building would rise 442 feet (135 meters), with 42 floors. The Pointe at Brickell Village is one of several new residential developments taking place in Miami, and is a part of the city's recent Manhattanization wave. It is scheduled to be completed by 2009. The Temple House is the largest single family residence in Miami's South Beach. The Temple House has received international coverage including The New York Times, HGTV, The Sunday Times in Europe, VIP Guide, CBS, Christies Great Estates, Luxury Real Estate, International Herald Tribune and others. Vue at Brickell is a residential tower in the Brickell district of Miami, Florida. 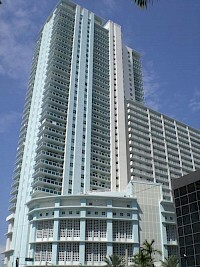 Built in 2004, it is part of the recent building boom in Miami. The building consists of condominiums, as well as restaurants and other retail stores. It contains 37 floors, and is 423 ft (129 m) tall. The address is 1250 South Miami Avenue. The building is located near the Mary Brickell Village shopping area, on South Miami Avenue between 12th and 13th (Coral Way) Streets. 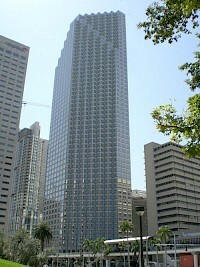 Wind Tower in Miami, Florida is a skyscraper completed in early 2008. It is located adjacent to the River Front East complex, on the north bank of the Miami River in downtown. The building is located on Southwest 3rd Street and Miami Avenue. It is 501 ft (153 m) tall and has 41 floors. Floors 1-8 are used for retail and parking, while floors 9 and 10 are the building's residential lobby. Floors 11-41 are used for residential units.